Steve Bannon Blasts "Gutless" New Yorker Magazine After Being Disinvited From Annual Festival - Joe.My.God. Former White House chief strategist Stephen Bannon on Monday slammed The New Yorker’s decision to disinvite him from the magazine’s annual festival next month. 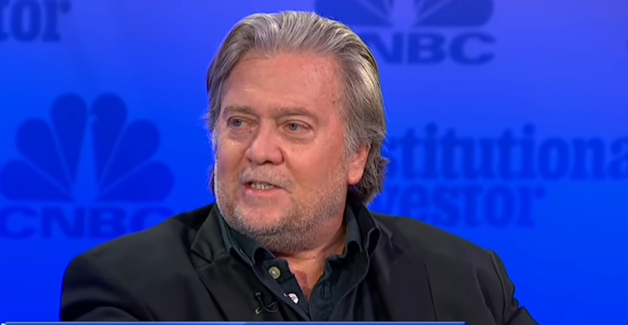 “After being contacted several months ago and with seven weeks of continual requests for this event, I accepted The New [Yorker’s] invitation with no thought of an honorarium,” Bannon said in a statement to CNBC. “The reason for my acceptance was simple: I would be facing one of the most fearless journalists of his generation. In what I would call a defining moment, David Remnick showed he was gutless when confronted by the howling online mob,” he added, referring to the magazine’s editor.